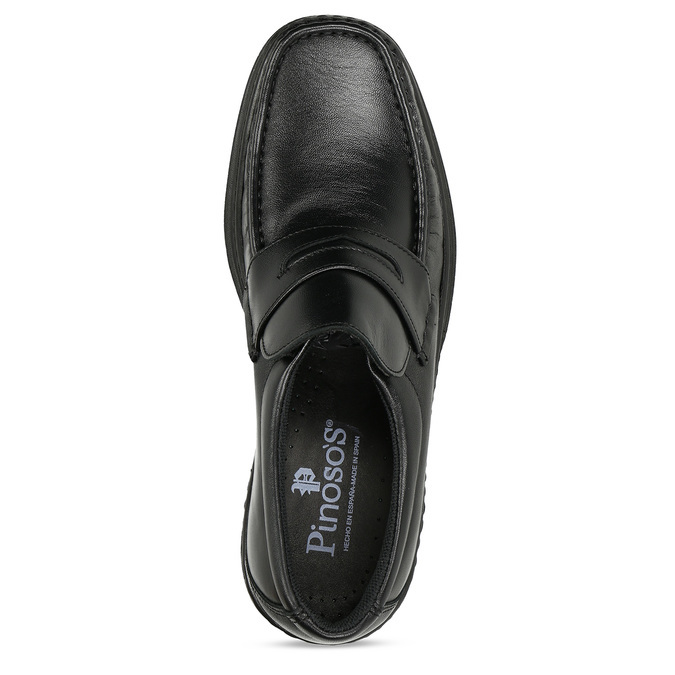 These men's Pinosos moccasins have an elegant cut and upper made of high-quality leather decorated with characteristic distinctive stitching. 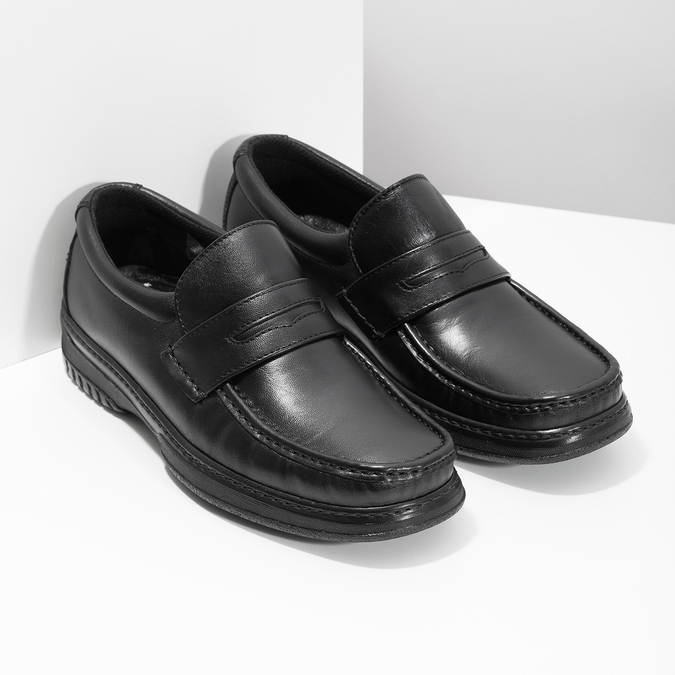 The strap over the instep revives the gentle cutout and an interesting element is the distinctive sole, which is elevated under the heel. 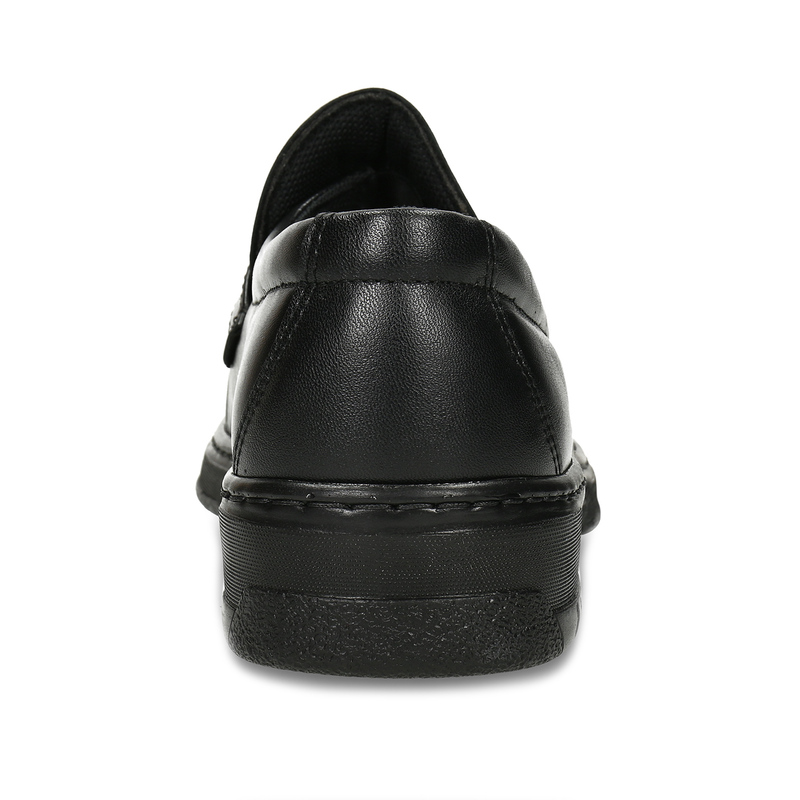 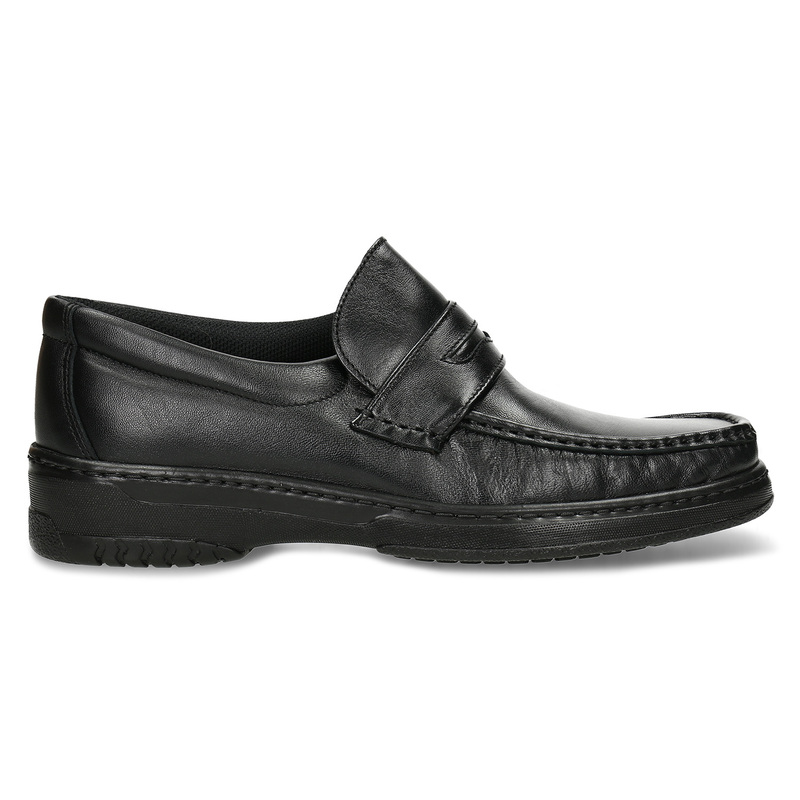 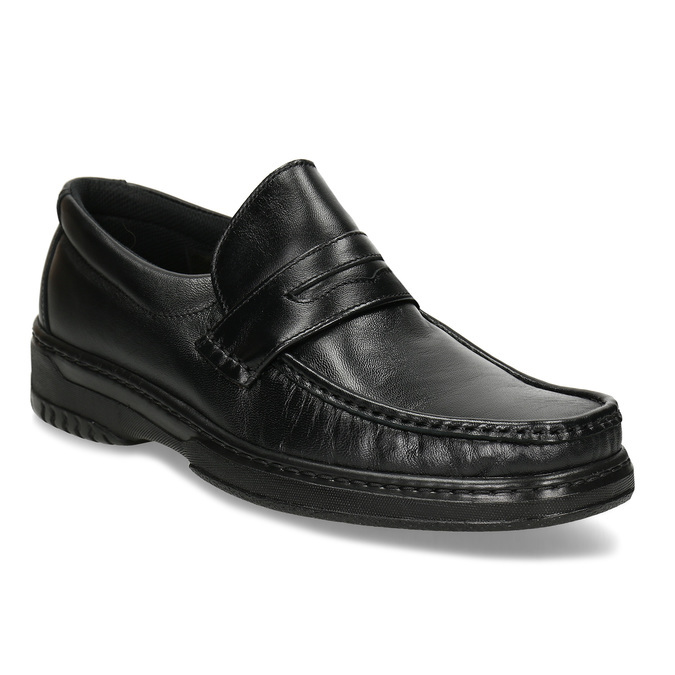 This along with a comfortable insole provides all-day comfort in the office and at business meetings. 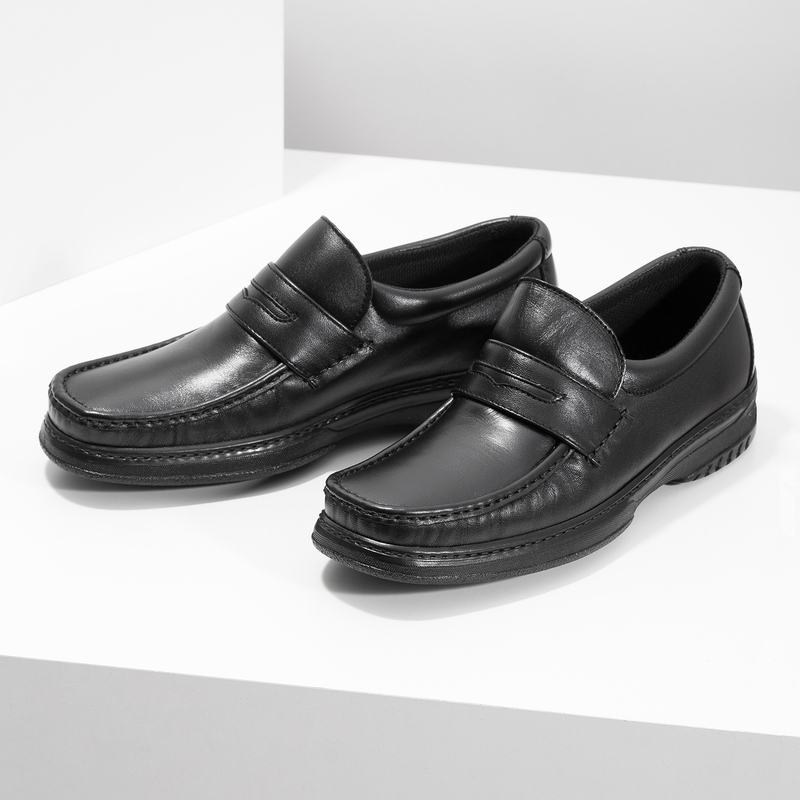 Wear the moccasins with dark Chinos trousers and a shirt.